We first worked with Dairy Meadow in April of 2015 and have been working with them on a range of projects ever since. The first installation we completed with them was an engaging all-weather outdoor space for their Nursery and reception stage. 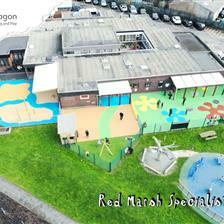 Since then, we have installed a large range of playground equipment and bespoke designs that promote both active and creative play. 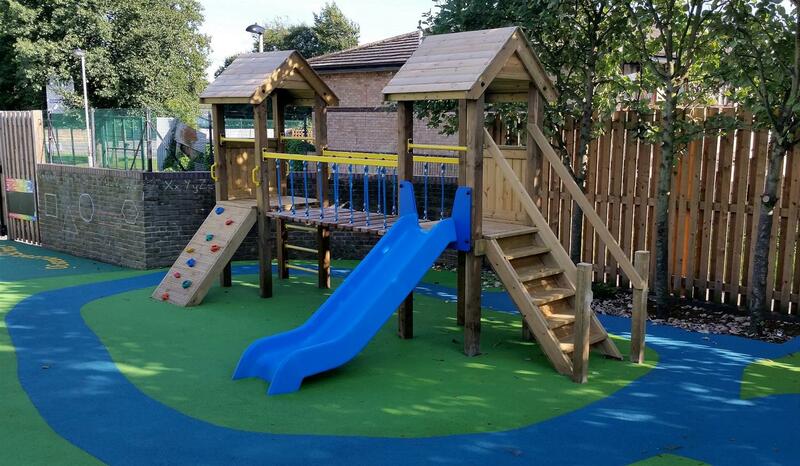 Dairy Meadow were lacking inspiration within their playground and because of this, we wanted to make sure we provided a full range of Imaginative & Creative resources to cover all areas of development and styles of play. With access to so many great resources, children will be able to naturally self-select their activities while outdoor lesson planning will become less time-consuming for teachers. To start, we wanted the environment to actively promote messy play to help children understand different curricular topics through investigative learning. These sensory experience can also have a calming and soothing effect on children wanting to relax. · Covered Sand Box – watch children dig for treasure. · Water Wall – Introduce children to aspects of flow & gravity, the water cycle and mass & weight of materials. · Water Table – Introduce theories behind why objects float. Our open-ended Giant Play House was cleverly burrowed in-between some wonderful trees to give children a natural den feel… den-making has never been so fun. With the addition of some props, children will be able to create their own scenarios and settings relating to the world around them and what they have read in stories. Dairy Meadow’s children will develop their communication, PSED and language skills – each new game requires different characters! 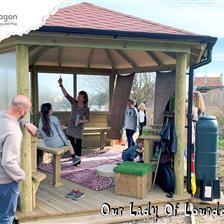 To give Dairy Meadow’s EYFS environment some more imaginary play possibilities, we also included our Den Posts. 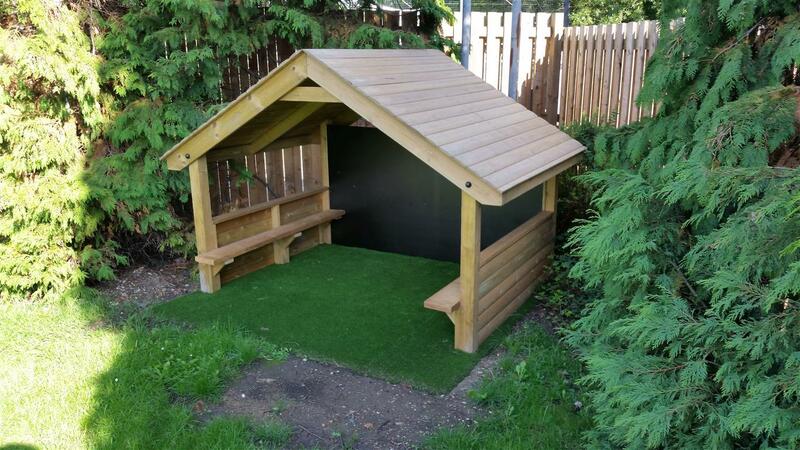 With the addition of a few materials, our Den Posts can be transformed into any creative scenario the children choose. 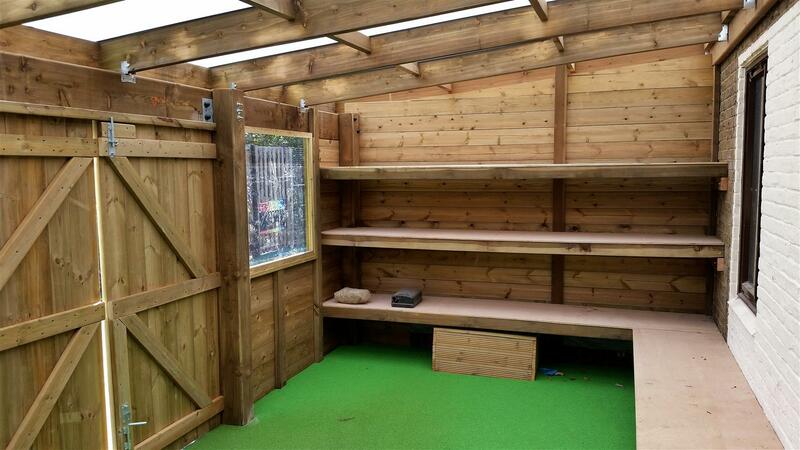 A popular way to utilise our Den Posts is to turn them it into a quite reading zone where children can lose themselves in the story of a book. Our Giant Chalkboard and Whiteboard were added to provide opportunities for creative writing and drawing outside of the classroom. Children will love sharing their artistic creations with others friends and teachers, developing their PSED in the process. Teachers will be able to take groups of children outside into the fresh air and use these mark-making boards as a teaching aid for any topic. For storage and additional mark-making, we installed our Walk-In Store with Chalkboard and Whiteboard. As well as offering creative potential this resource doubles up as fantastic storage facility for all of the children’s playground items. Providing active opportunities all year round…..
We installed two of our playground Towers, to help promote physical development. The children now have challenges that will develop their upper & lower body strength, core balance as well as their overall climbing confidence. Combining with imaginative play, these Towers are a great way to re-enact stories and fairy tales. We also provided Dairy Meadows with our Climb through Tunnel with Ramp Over for ‘Positional Language Play’. Children will be able to climb to the top of the ramp and look out across to the rest of the playground. 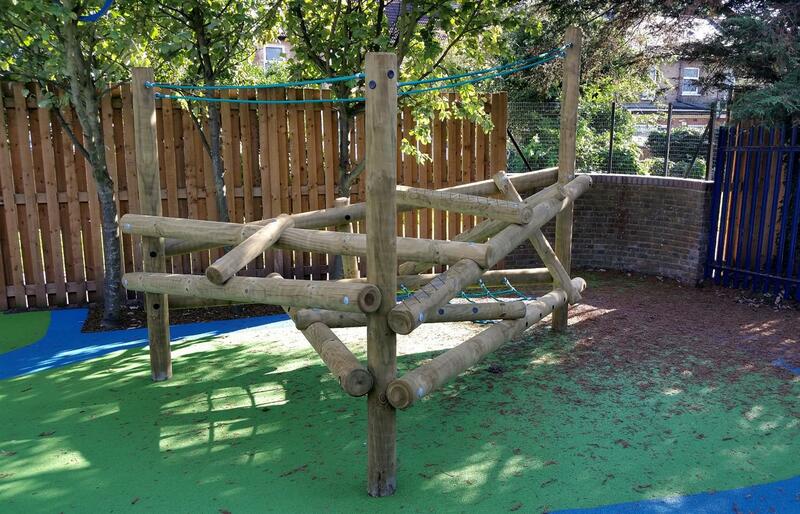 To create an additional active play zone, we installed our popular Great Gable Climber. 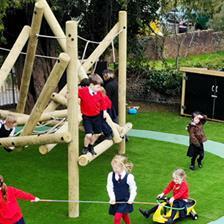 This great log frame climber will provide the children with both active and imaginative challenges. With the way it is designed, this product also lends itself to potential den-making games. 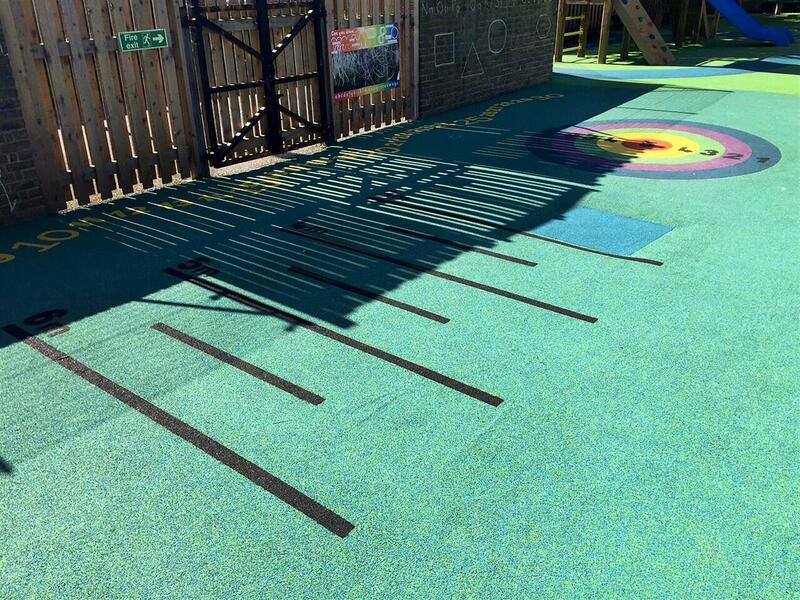 With a large area to surface, we decided to creatively use our surfacing options to create different zones for play, learning and reflecting. 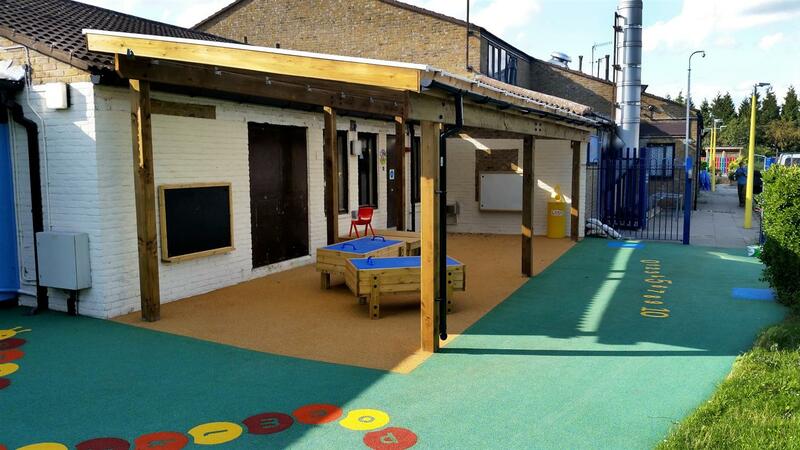 For the Reception's Learning and Investigation Area, we transformed the surface with our natural looking Playturf. 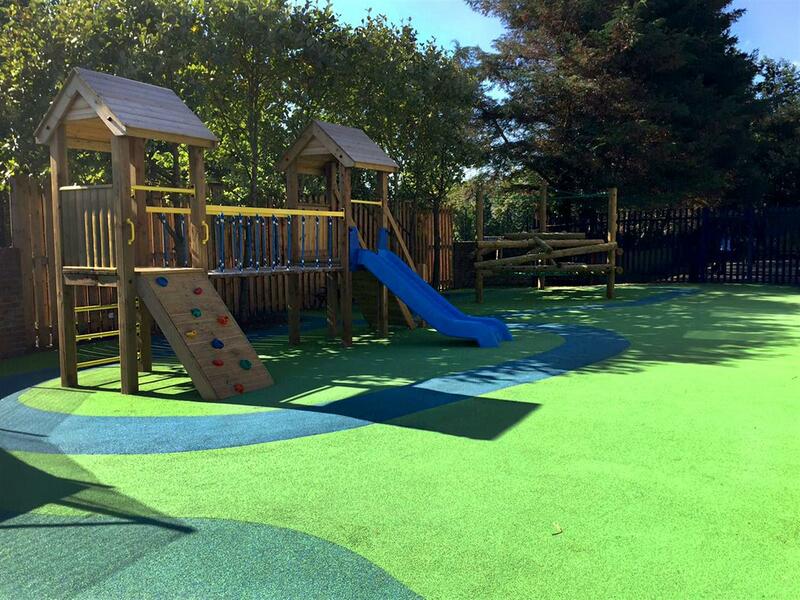 With all the den-making options available in this area, children will be free to relax or play and investigate on this wonderful green surface. 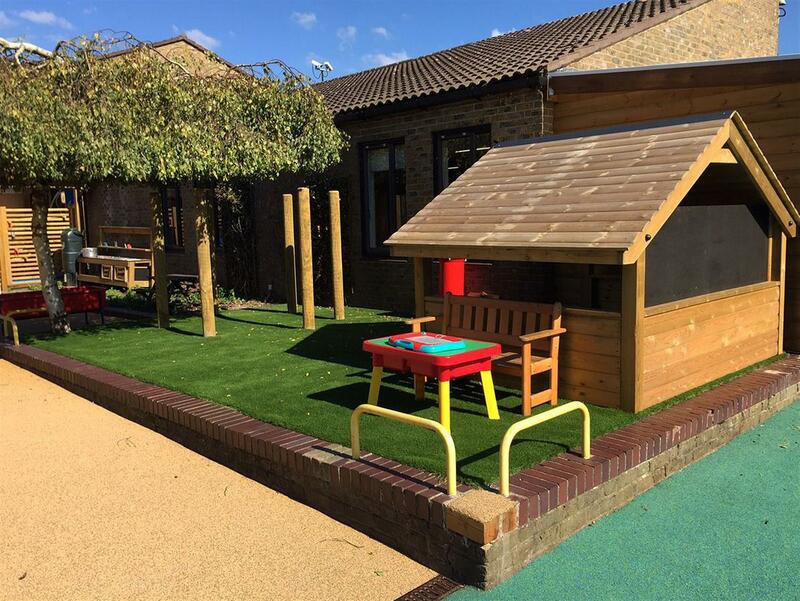 Children, especially those with special educational needs, will love relaxing in this area and running their hands through the bristles of the artificial grass. 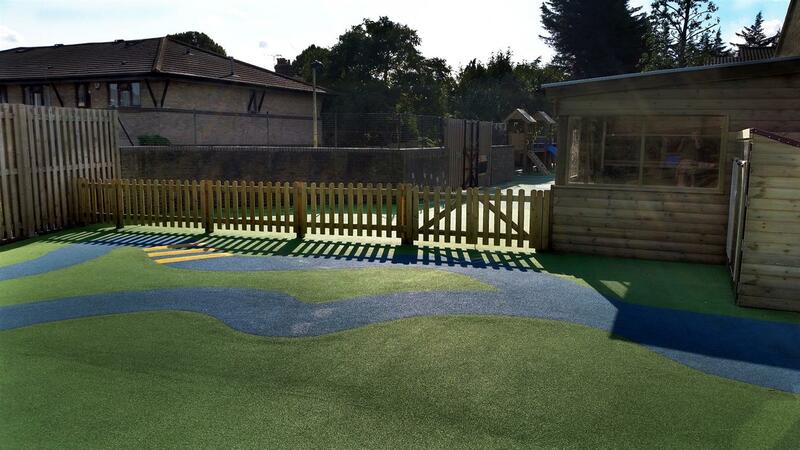 With our famed ability to bespoke and alter our product offering to suit school’s differing needs, we were able to work with Dairy Meadow's to create a special Bespoke Wetpour Design for their large playground area. We created a special and striking design to fill Diary Meadow’s outdoor environment with colour, full of active markings for fun, active and educational play. The safe impact absorbent effect will mean that incidents will be reduced during play times. 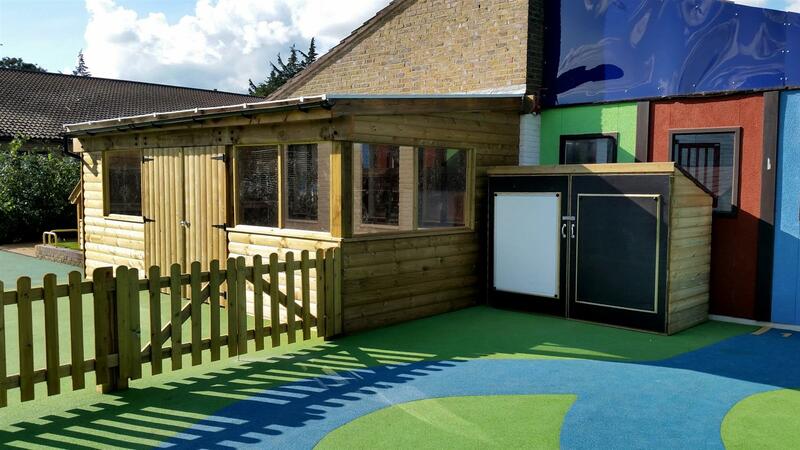 To create the feeling that Dairy Meadow’s outdoor environment is simply an extension to the classroom, we installed 3 Timber Canopies to create a seamless transition from inside to outside… free flow learning will now be completely natural as children treat the outdoors and indoors as one big classroom. The first set of canopies we installed included our Bespoke L Shaped Canopy along with our standard Timber Canopy. With the addition of these two canopies children will be able to play in a free flow environment, moving from outdoor space to a sheltered area in all weather conditions. 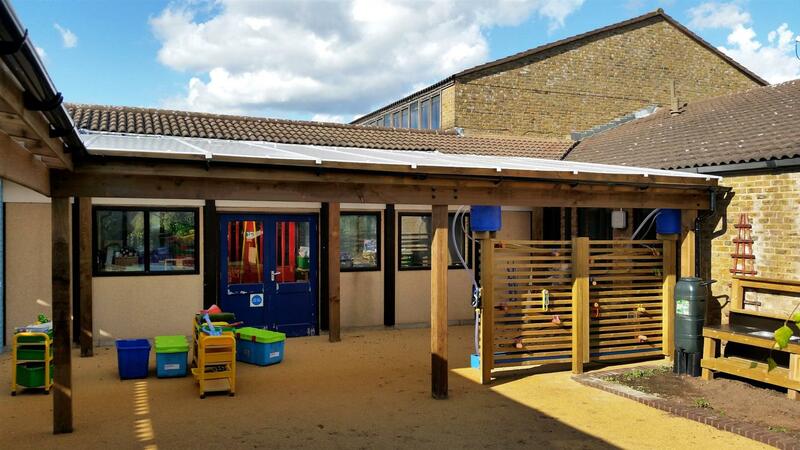 The third canopy we installed was our Timber Canopy with Cladding and Glazing. 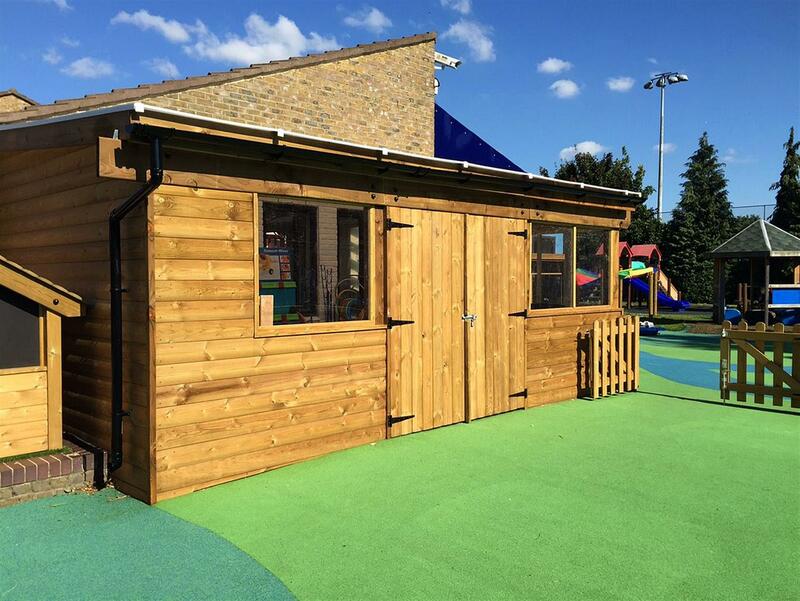 With the addition of the side cladding and glazing, this canopy can be used as a fantastic storage facility for all of Dairy Meadow’s outdoor equipment and play resources. Children can be given leadership roles to make sure that all the equipment is tidied up and put away. 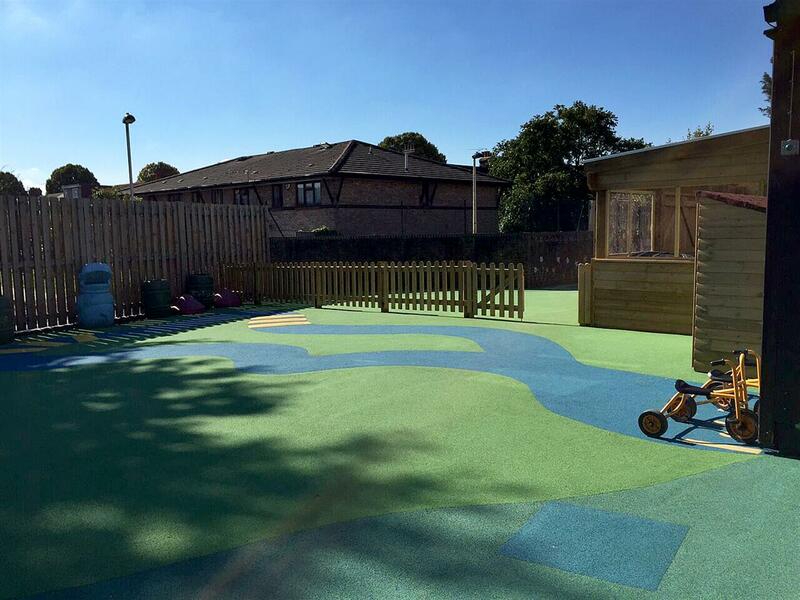 With this sense of ownership, the children will feel they have a responsibility in keeping their outdoor space tidy giving them a great understanding of the world. Having a storage facility like this will also reduce the amount of accidents due to the flooring being cleared of toys and resources. We helped create specific designated zones with our excellent Bow Top Fencing. 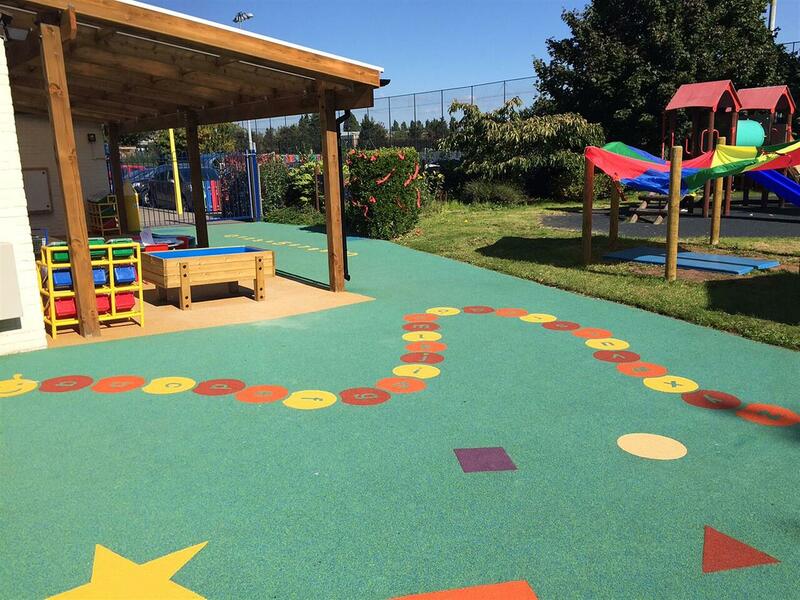 Not only does this ensure that the playground is safe and secure, it allows teaching staff to create areas for particular activities for specific developmental areas. Children will then relate these areas to designated outdoor activities such as creative messy play or imaginative den-making. 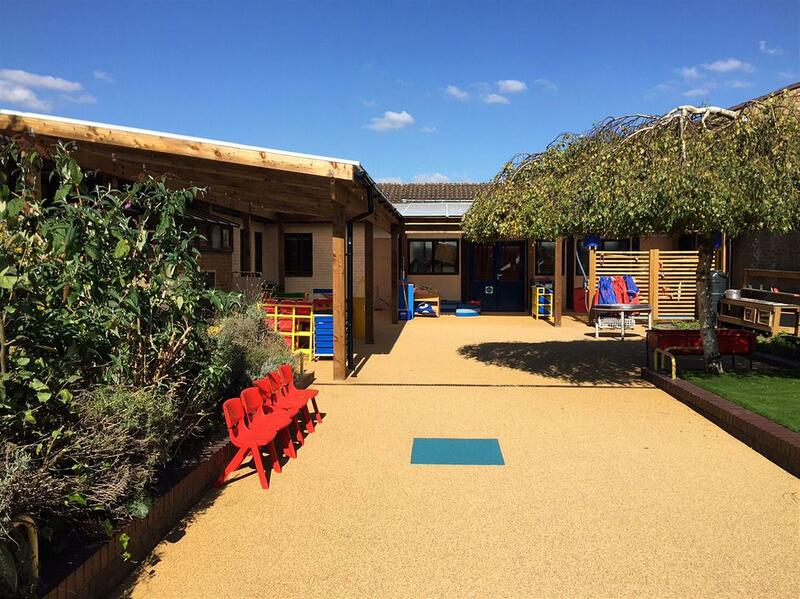 If you are considering developing your outdoor learning environment and need a company you can collaborate with and trust, please do not hesitate to Contact Us through the website or call us to speak to one of our specialist consultants on the chosen numbers - 01625 890 330 (North Office) or 0117 379 0899 (Southern Office). 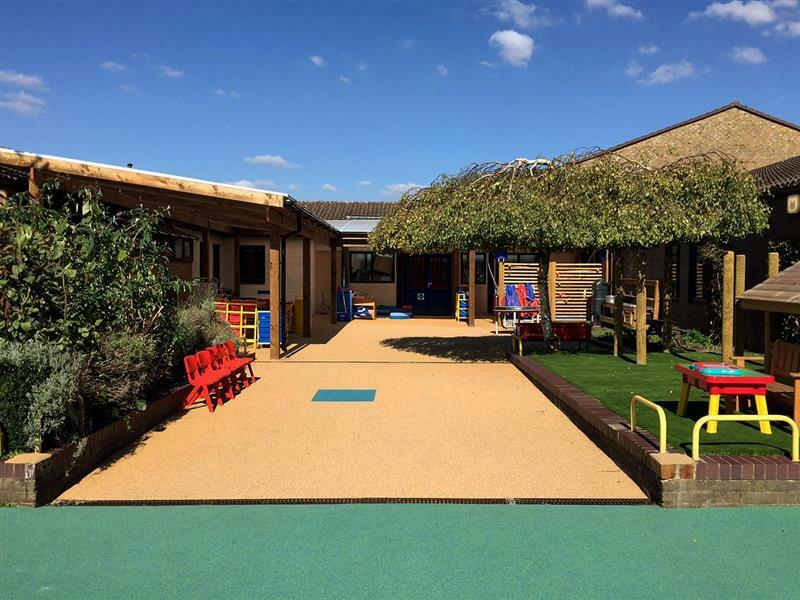 If you'd like to know more about our unique approach to playground projects and learn why we're a great company to work with, click here!